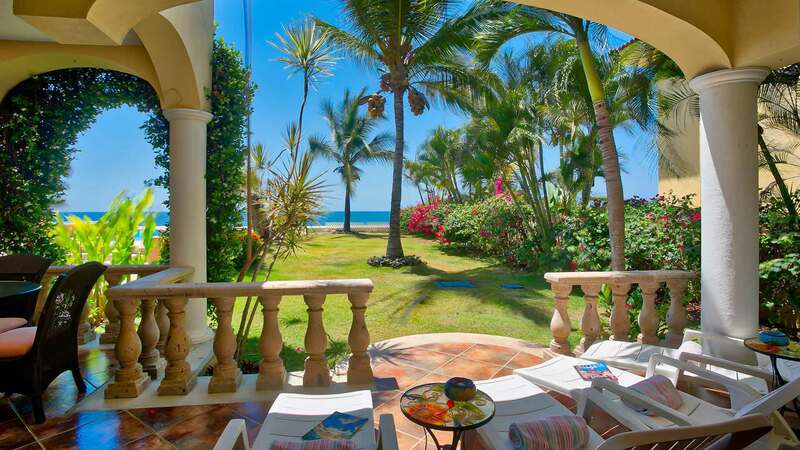 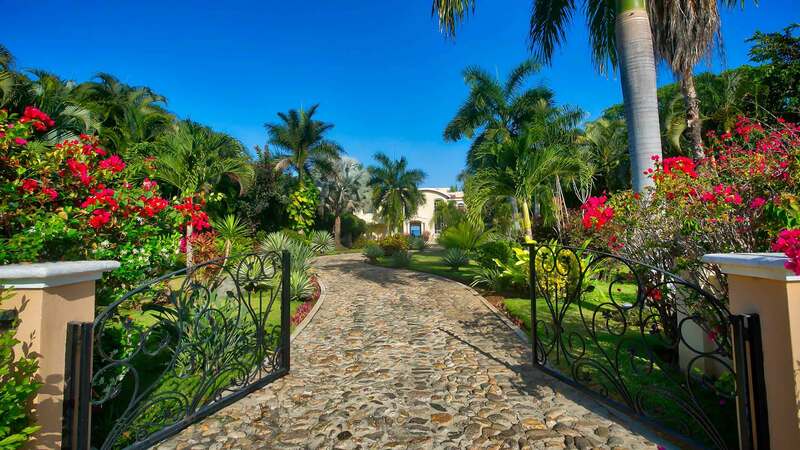 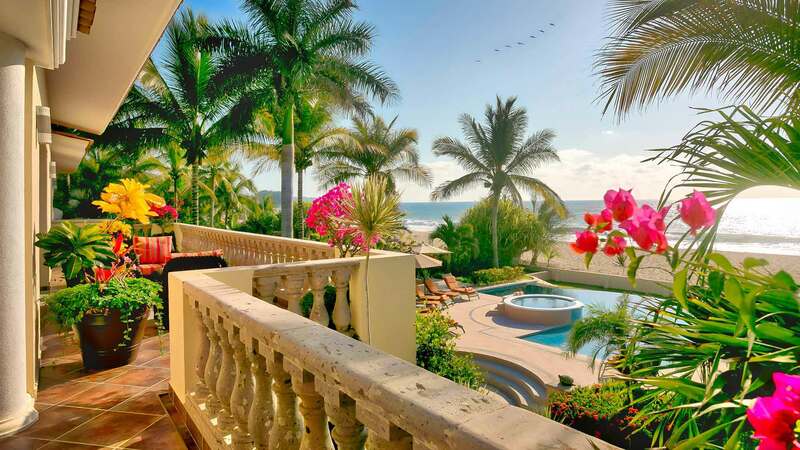 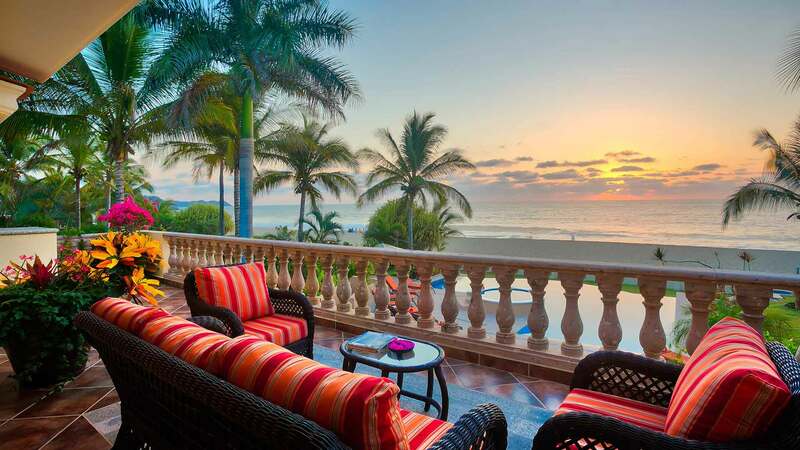 Villa del Tigre, a luxurious, oceanfront villa encompasses over 29,000 square feet of walled-in and gated private property. 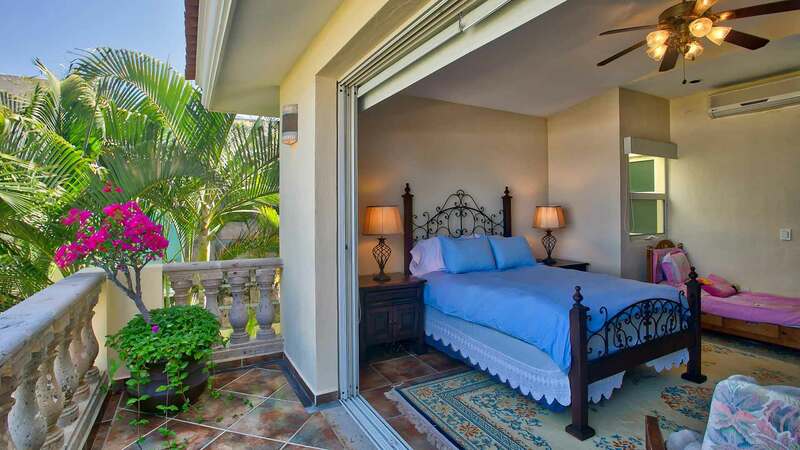 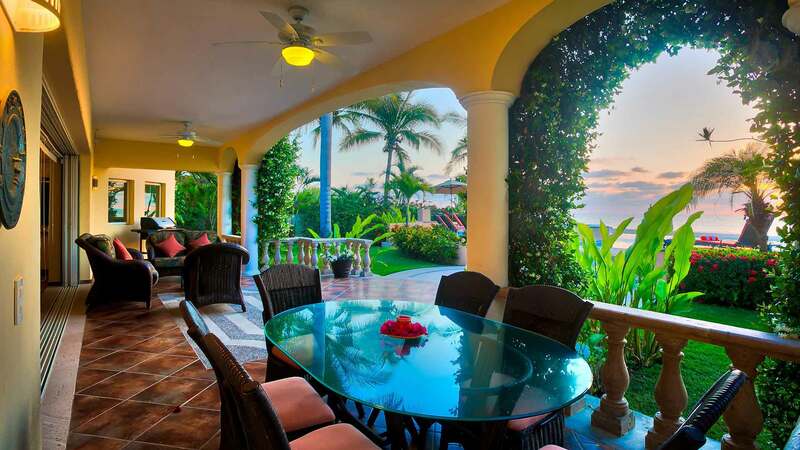 The close proximity to the beach, coupled with first class accommodations and the finely manicured lawn/garden provide an incomparable oasis of relaxation and enjoyment for all guests. 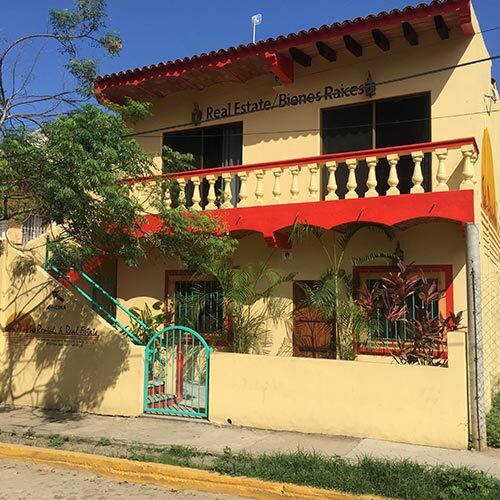 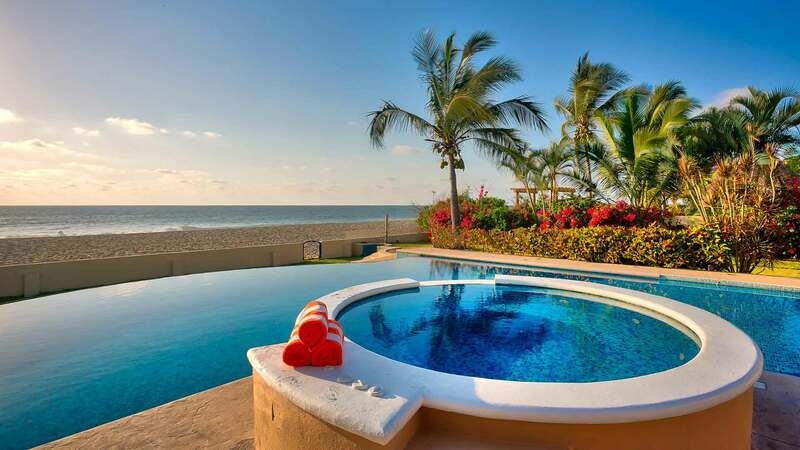 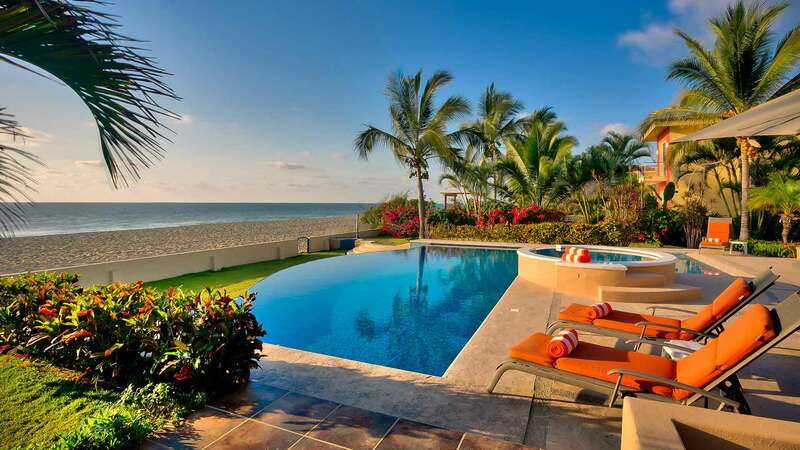 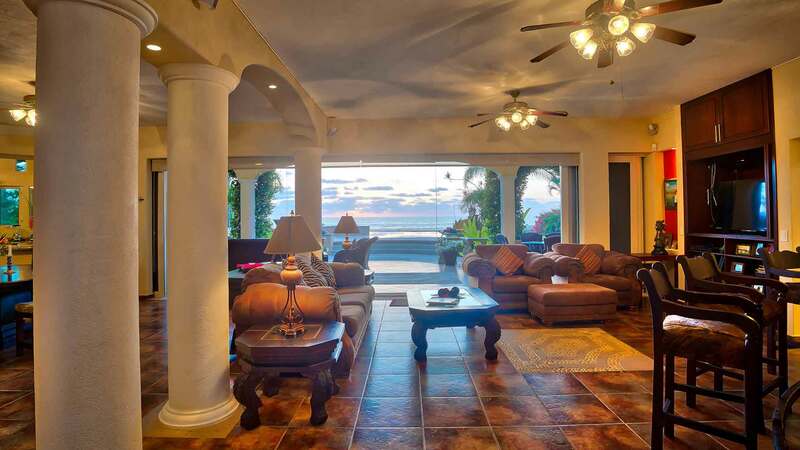 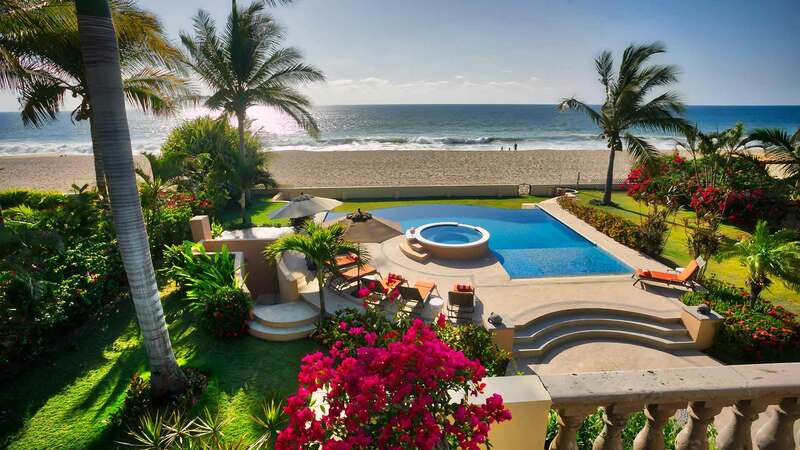 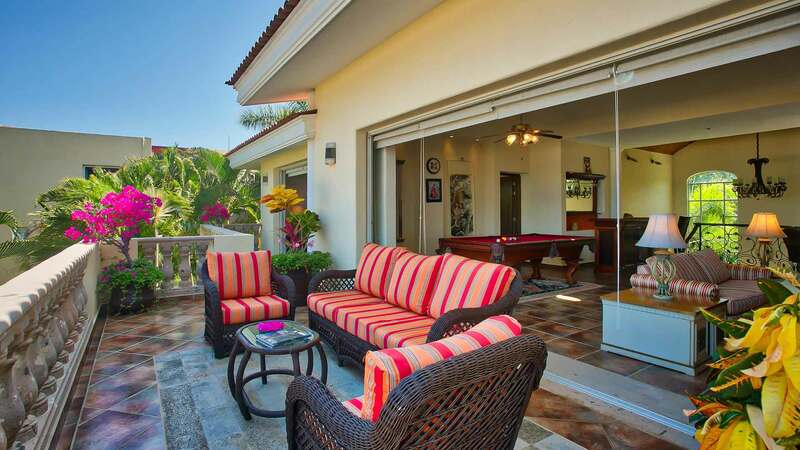 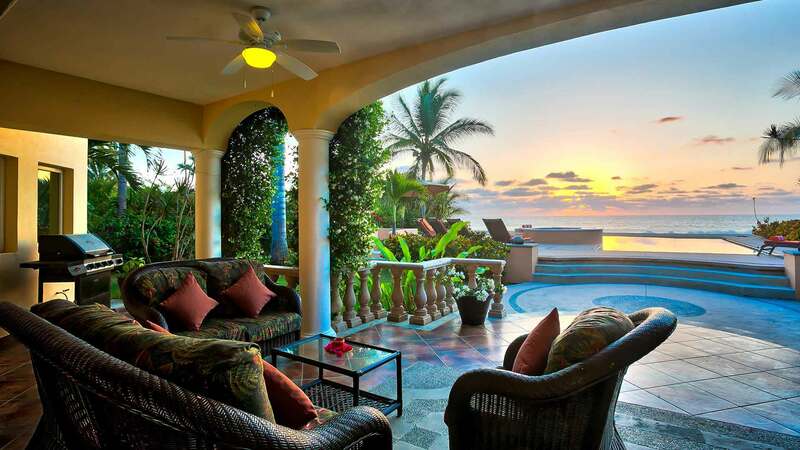 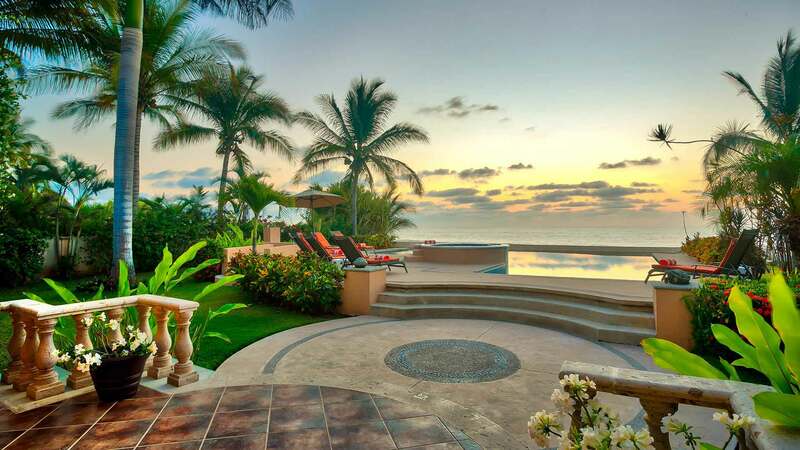 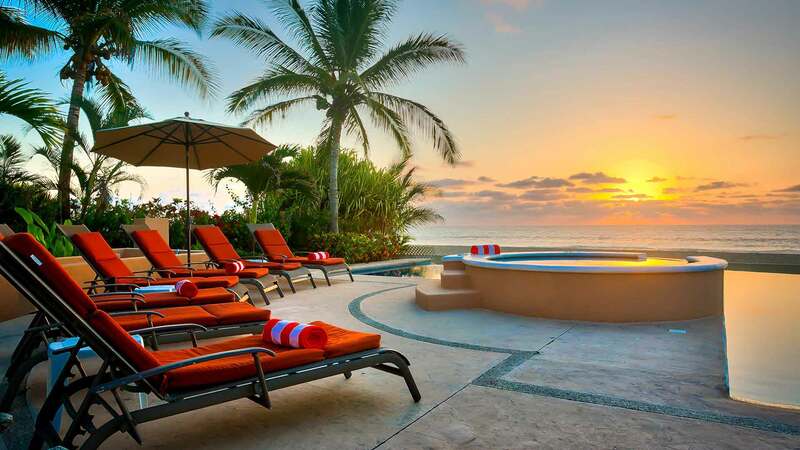 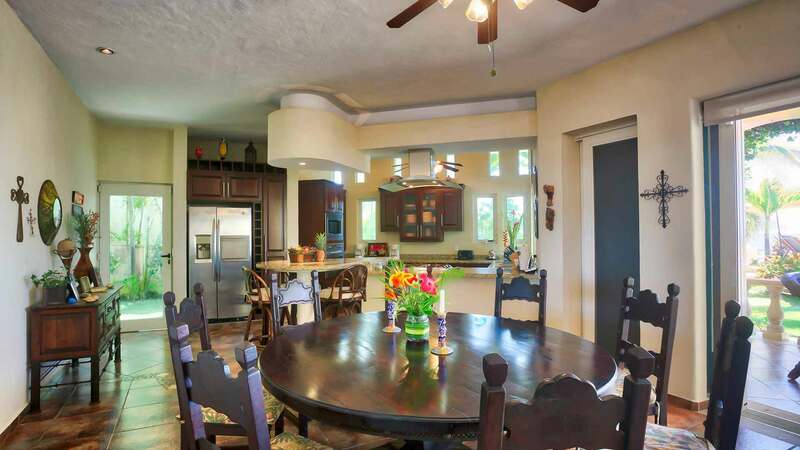 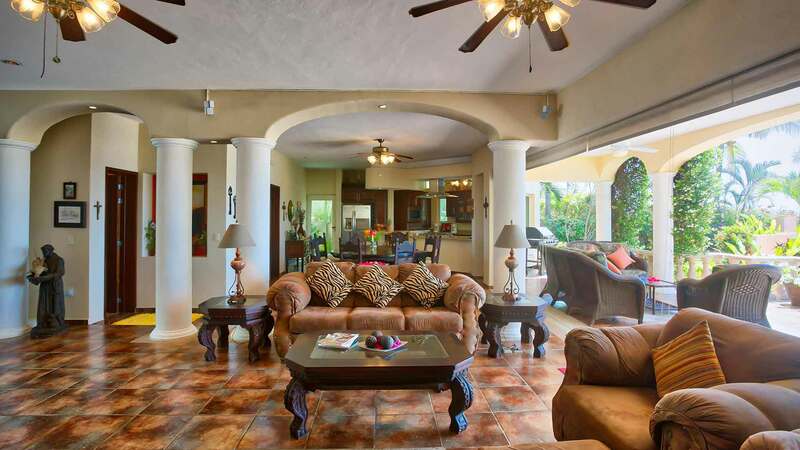 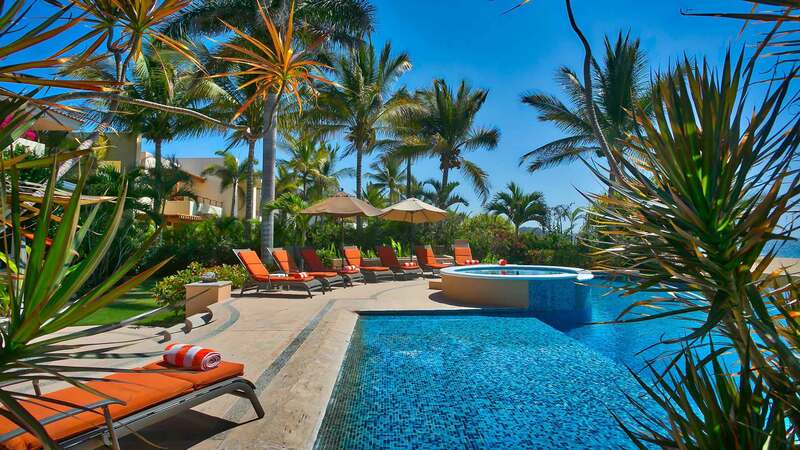 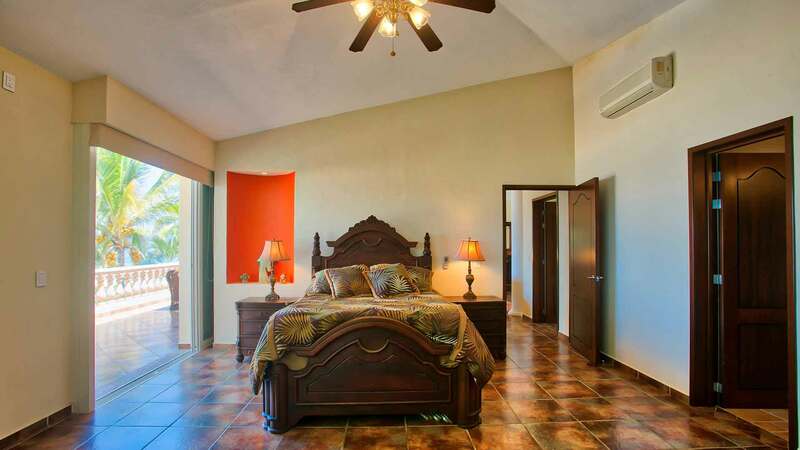 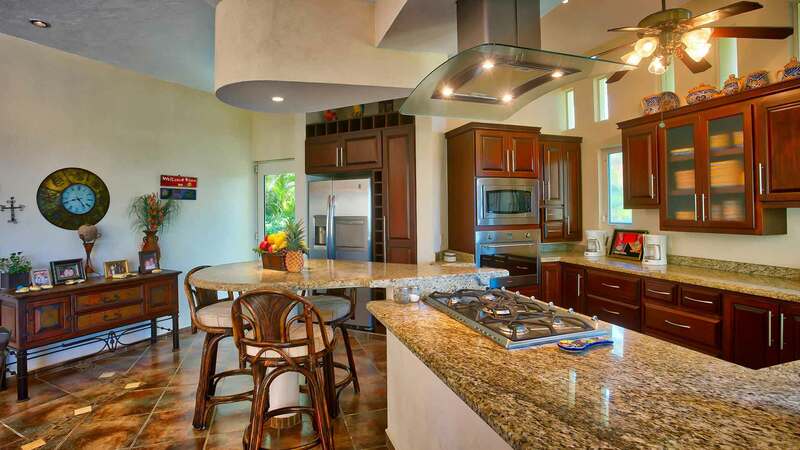 This villa is one of the few beachfront villas located in Las Olas, a prestigious gated community in San Francisco (San Pancho), Nayarit, Mexico. 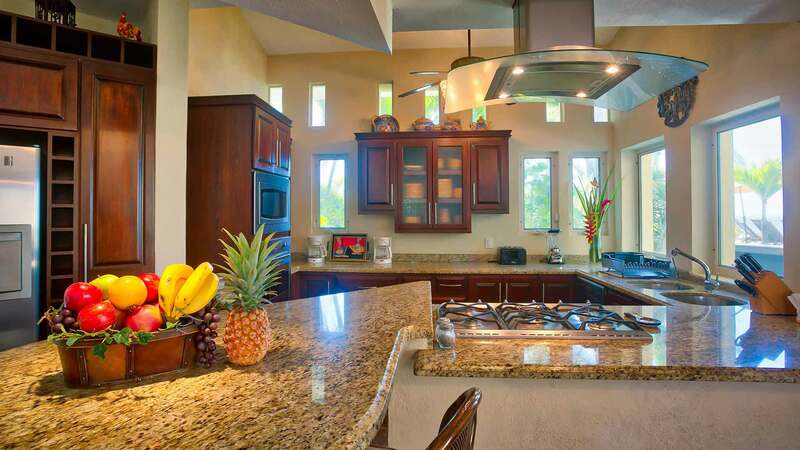 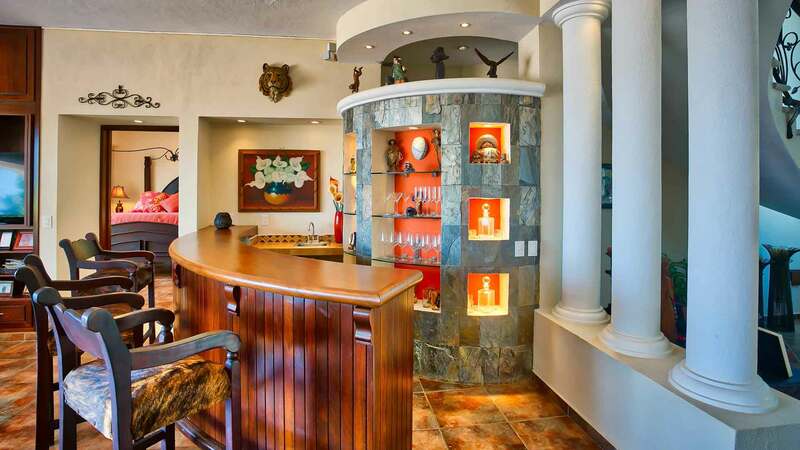 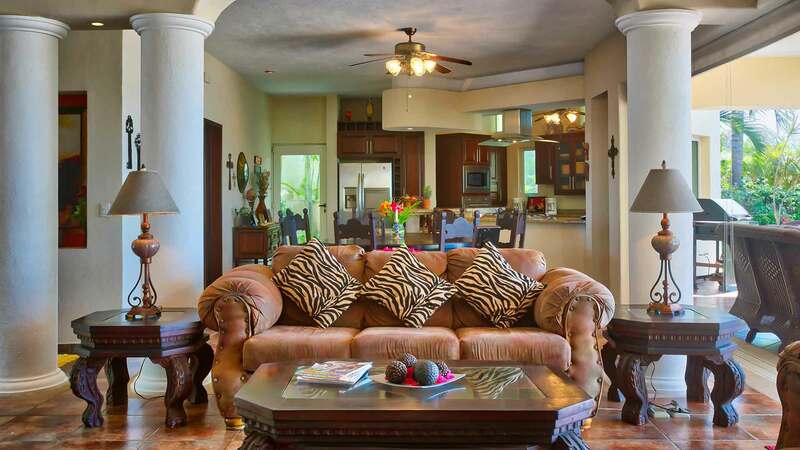 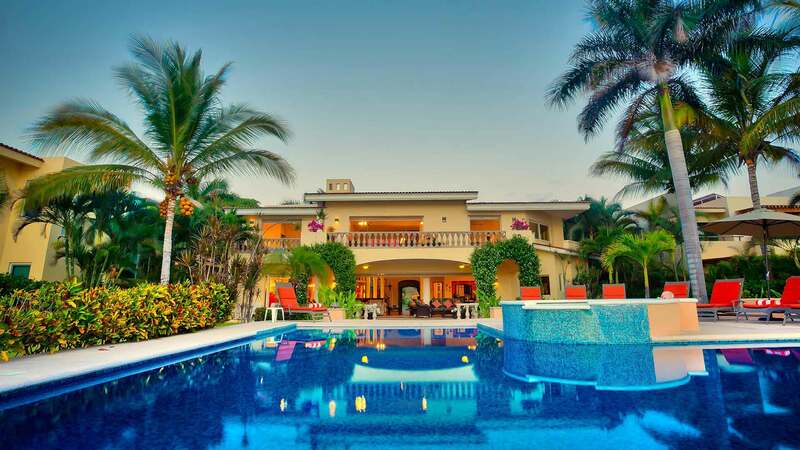 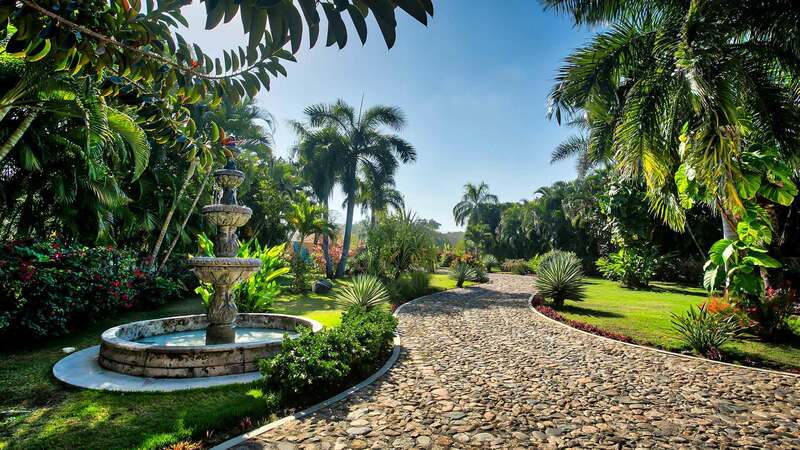 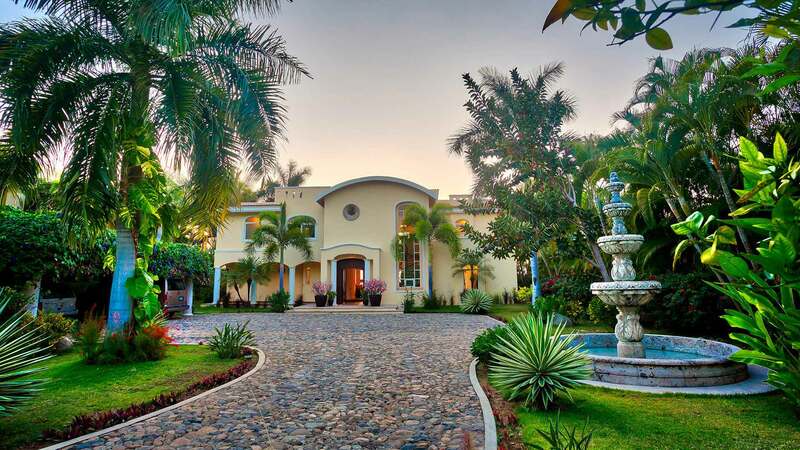 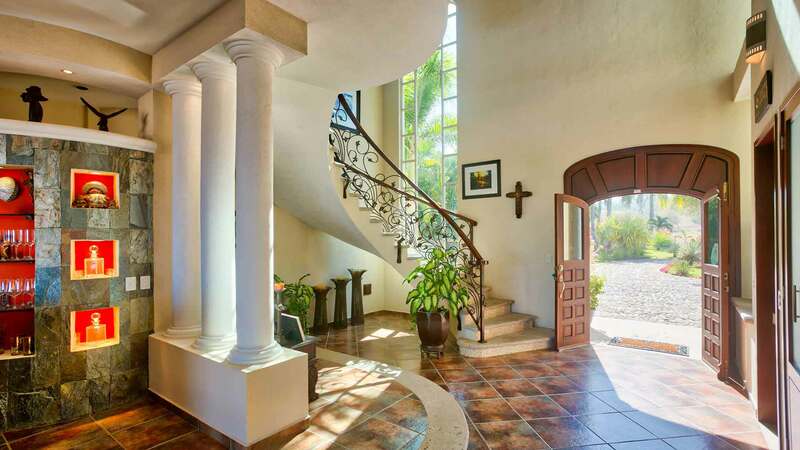 Villa del Tigre, a magnificent two-story villa, consists of 5,200 square feet of living space. 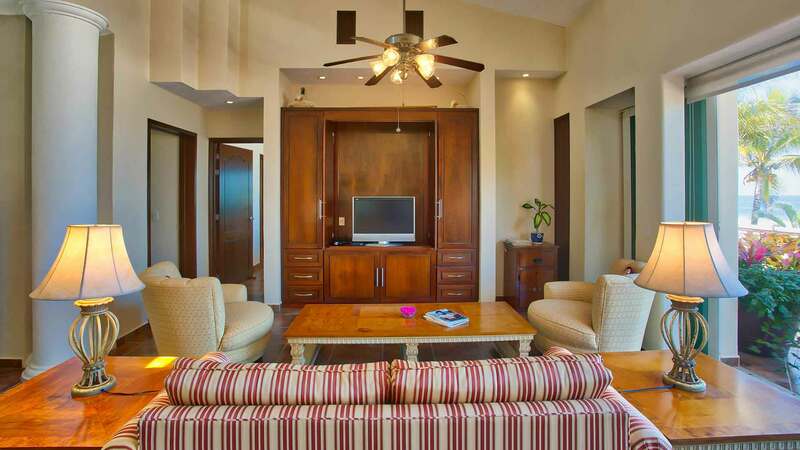 The entry-level includes the master king bedroom en suite, powder room, gourmet kitchen and living/dining room with floor to ceiling glass doors opening out to the infinity pool terrace and beach. 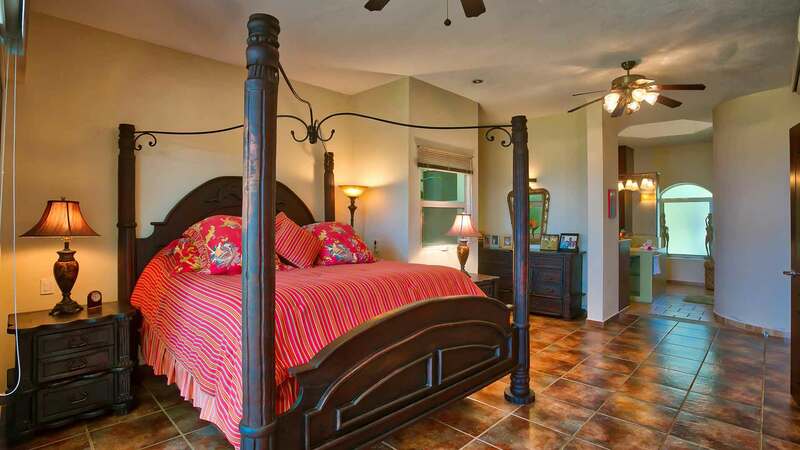 The second level hosts three queen bedrooms and den/game room. 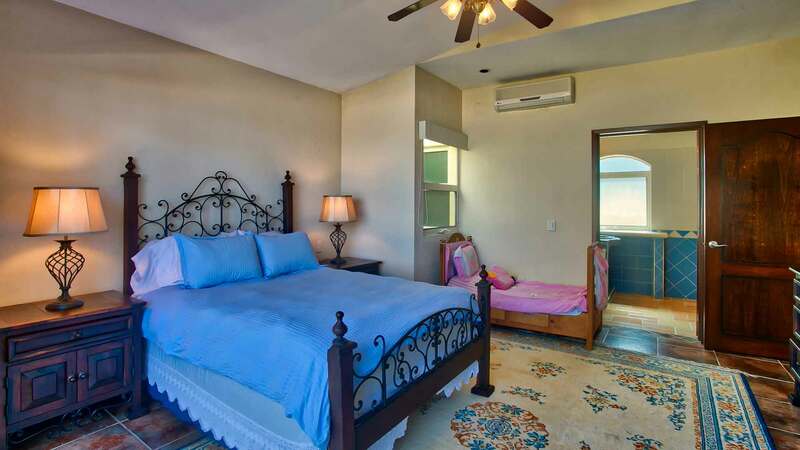 One queen bedroom is outfitted with a toddler bed and private bathroom. 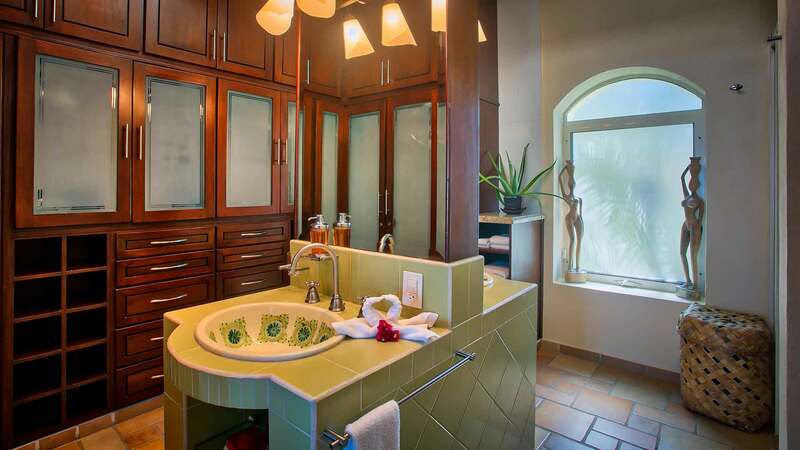 The other two queen bedrooms each have private restrooms that share a large shower room. 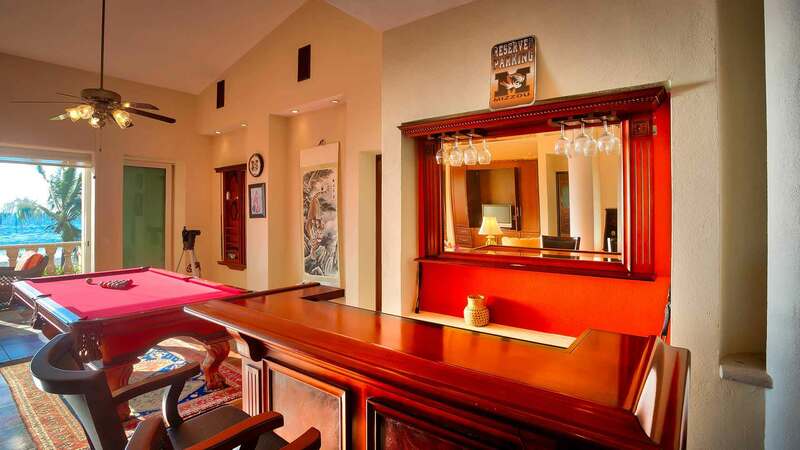 The den/game room is equipped with a workspace with computer, a professional pool table, flat screen TV, comfy sofas and bar. 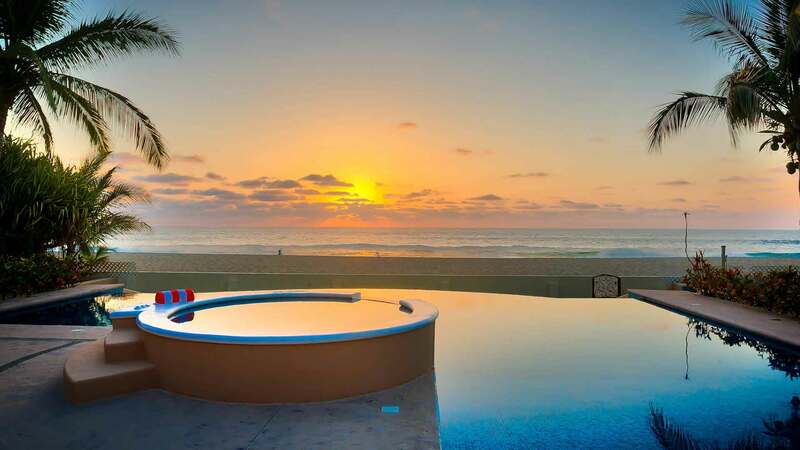 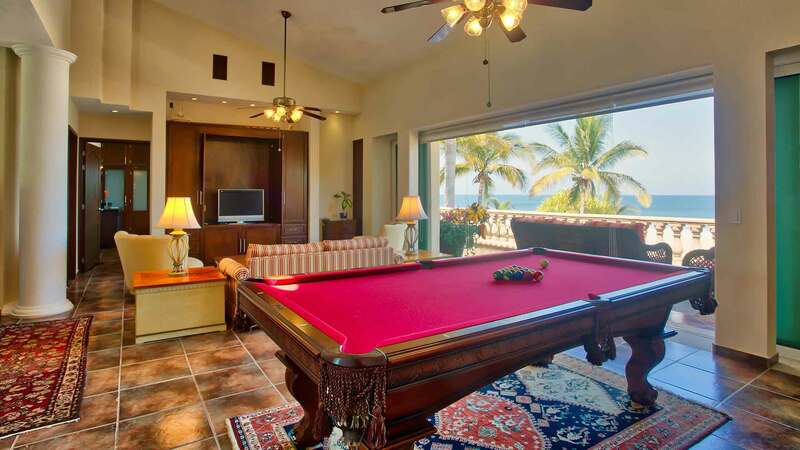 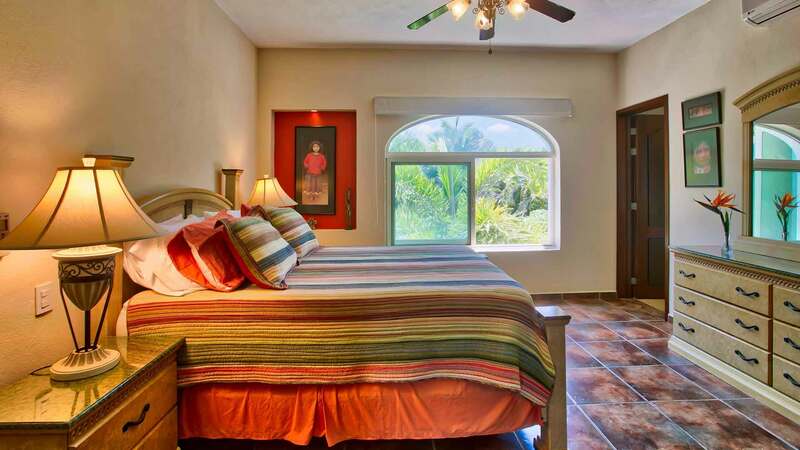 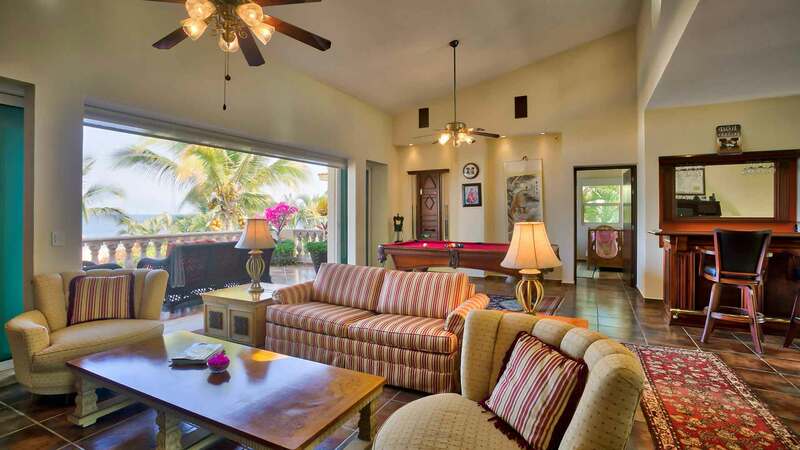  Two of the queen bedrooms and the game room open onto the spacious second floor terrace providing spectacular views of the Pacific Ocean waves and the famous San Pancho evening sunsets.